PM Modi attacked both the Congress and Communists saying the so-called defenders of women rights were the ones who were defending the brutal and barbaric practice of Triple Talaq. Kozhikode: Addressing a rally in Kerala’s Kozhikode, Prime Minister Narendra Modi on Friday slammed both the Congress and Communists for their blatant double standards when it came to women empowerment. PM Modi said that the so-called defenders of women rights were the ones at the forefront of defending the brutal and barbaric practice of Triple Talaq. 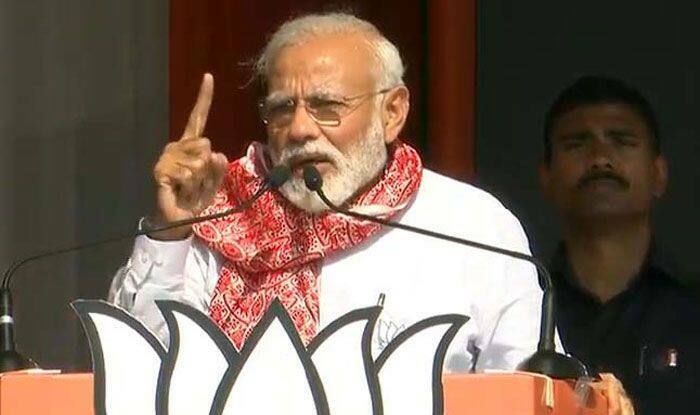 Asserting both the Congress-led United Democratic Front (UDF) and Left Democratic Front (LDF) led by the Communist Party of India (Marxist) have brought a ‘culture of political violence’ in the state, the PM further said that both the parties ruled for around 10 years in Kerala but have failed people of the state. “Electing the Congress and Communists is like giving a license to their leaders to engage in top-level corruption,” the PM added. PM Modi also slammed both the parties over alleged attacks and killing of Rashtriya Swayamsevak Sangh (RSS) and BJP workers in Kerala. Earlier today, PM Modi, while rallying in Koppal in Karnataka for Lok Sabha elections, tore into the Congress-JD(S) alliance and said they were only after meeting their own selfish needs.